This is actually really simple to do. 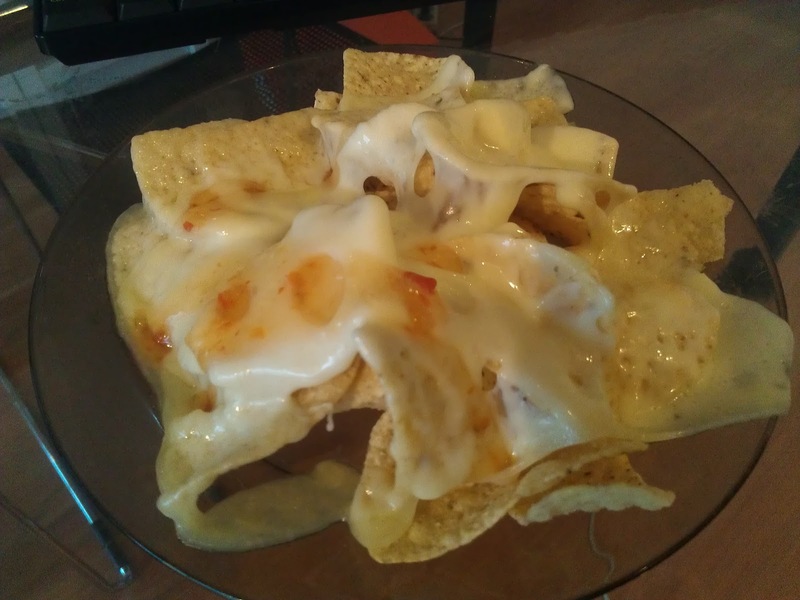 If I eat it as a snack, what I did in the pictures, I just put some nachos on a plate. And a view slices of cheese on top of it. And some sweet chili sauce. And than I put it in the microwave for 40 seconds and I'm done. But if I eat it for dinner I put a whole bag of nachos on a baking tray and put a lot of slices of cheese ontop of it. I also put some red pepper, Jalapenos, Sambal, Sweet chili sauce, Beans and tomatoes on top of it. 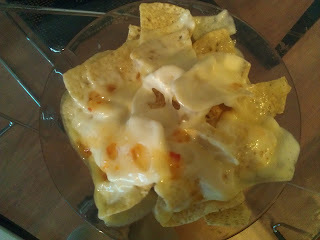 and I put it in the stove till the cheese is melted. And I'm done !